Why Vermont Maple Syrup Is Rated the Best? Did you know that Vermont is the largest producer of pure maple syrup in the U.S.? This is probably the only statistic where our small state can lay claim to being the largest of anything, but one that we take pride in. To show you how serious we are about the quality of our maple syrup, Vermont was the first state to establish a Maple Law. This law states that Vermont syrup must meet or exceed the standards of quality, purity and density of all maple producing states and provinces. Our syrup produced in Vermont is 100% natural with nothing added. There are four grades of Vermont Maple Syrup. The grade generally corresponds to the time of the sap run. 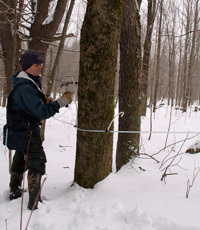 The lighter grades tend to be produced in the earlier part of the short sugaring season; the darker grades towards the end. 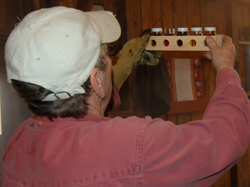 Mother Nature ultimately controls the maple sap run but it generally lasts 6 weeks during late February and early March. The sap run is totally dependent on the freezing and thawing cycle of the maple tree and is as unpredictable as our weather in New England. In the spring, we get excited when evening temperatures drop below freezing, with our days filled with sunshine and temperatures above freezing.